Fast developing electronics and information technology enables the implementation of various concepts of advanced vehicles such as Advance Safety Vehicle (ASV), Advanced Intelligent Vehicle (AIV), and Advanced Driver Assistant System (ADAS). Integrated service platform for advanced vehicles will be facilitated by vehicular communications such as V2V (vehicle to vehicle) and V2I (vehicle to infrastructure). Prof. Jae Hong LEE received his Ph.D. degree from the University of Michigan, Ann Arbor, in 1986. He was with AT&T Bell Labs, Whippany, NJ, from 1991 to 1992. Since 1987, he has been with Seoul National University, Korea. His research areas are in wireless communications including MIMO, OFDM, and cooperative diversity. He published over 70 peer reviewed journal papers and holds nearly 30 patents. His laboratory was designated as a National Research Laboratory by the Ministry of Science and Technology of Korea in 2001. He has served as president of IEEE Vehicular Technology Society, president of Institute of Electronics Engineers of Korea, and president of Korean Society of Broadcast Engineers. 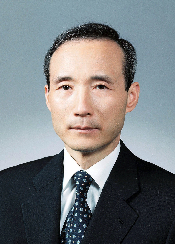 He a member of the National Academy of Engineering of Korea.